Image: Michael Kovac/Getty Images for EJAF. Prince Harry's latest humanitarian endeavor is going to be one that will honor the legacy of AIDS-related charity work done by his mother, Princess Diana — and we're here for it. 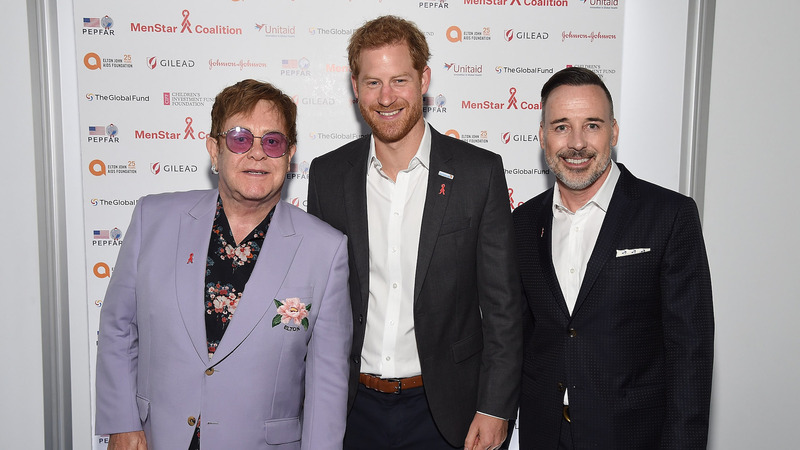 On Tuesday, it was announced that Prince Harry had joined forces with Elton John to begin a new AIDS initiative that will work to raise awareness about HIV among "hard-to-reach young men." According to E! News, Harry and John made the announcement on Tuesday at a plenary session at the 2018 International AIDS Conference in Amsterdam that they would be creating the MenStar Coalition. The group will be dedicated to educating others about HIV and AIDS as well as working on policy change efforts around the life-threatening disease. E! reports that MenStar Coalition was founded "by Elton John AIDS Foundation, the U.S. President's Emergency Plan for AIDS Relief, Unitaid, the Global Fund to Fight AIDS, Tuberculosis and Malaria, the Children's Investment Fund Foundation, Johnson & Johnson and Gilead Sciences." With the goal of ending the AIDS epidemic by 2030, the creation and purpose of the MenStar Coalition was explained by Prince Harry during the conference: "Inspired by the growing alarm at the rate of new HIV infections among young women, the MenStar coalition is bravely tackling the root cause of this problem — the lack of awareness of HIV prevention amongst hard-to-reach young men — and it will be guided by listening to and respecting the voices of the young men the coalition is trying to reach." John also commented on the importance of making men more involved in this initiative, commenting, "We cannot solve the whole problem if we're only addressing half the situation. If we want to win this fight, if we want to end AIDS once and for all, we must make men part of the solution." This step toward ending the AIDS epidemic once and for all is undoubtedly something Princess Diana would be proud to see Harry taking on. Diana was one of the few high-profile celebrities in the '80s and '90s not only working with charities to fight the epidemic and improve the lives of those affected, but helping to destigmatize the disease, including the notable moment she was photographed shaking hands with a person who had AIDS in 1987. Harry picked up this mantle just a few years ago, and it's definitely interesting to see where his efforts on this issue are taking him.